July 4th, 2019 | Be part of it! Be a part of this year's Paul Mitchell Experience! Join world class athletes for three hours of drills, skills and performance enhancing elements from the biggest names in sport karate. 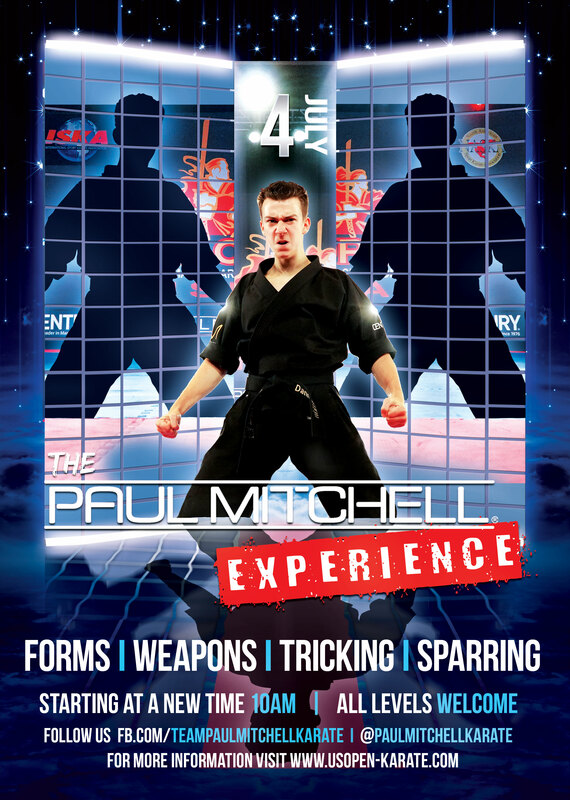 The Paul Mitchell Experience is designed to help all ages, levels and abilities in attendance improve on all levels. Whether you want to learn the newest coolest tricks to up your demonstrations and performances or you are training to be the next ISKA World Champion, The Paul Mitchell Experience can help you get there. This year's event will feature three 1-hour sessions. Come and work in your favorite area of the sport or break your experience up into three different hours to maximize your experience. Each hour will focus on different aspects of what it takes to level up or become the next Sport Karate Superstar. Register while registering for your US Open competition through the Registration system. If you only want to do the camps and not register to compete, go to the seminars/tickets section.